The Long Version: Nintendo saw the writing on the wall. Back around 2005, they decided that since they couldn't win against Sony's Playstation and Microsoft's xBox, they would play a different game. Grand daddy Nintendo, the pioneer of the game system, decided that it was going to play smarter instead of harder, and took a tremendous chance on being able to build a new market. It worked. If you've ever thought that owning a video game system might be fun, and bought one only to discover that it wasn't, the Wii is for you. Nintendo has targeted adults, especially parents, and you'll probably never need to know what FPS stands for. The motion-sensitive controllers - sometimes called wiimotes - are quick to learn and bring an entirely new experience to 'playing video games'. The whole thing feels like an Apple product designed after an Anime convention, and it's just a lot of fun. The controllers are clever and allow a lot of good things, but it's the balance board that comes with the Fit package that is the pinnacle of wii-ness. They're so hard to find that I was half expecting them to come with a free Cabbage Patch Kid, but having finally brought one home I understand their demand. While the Yoga-class-in-a-box aspect has its appeal for many people, there are some really neat games that are included with the board that everyone will play. Imagine skiing by shifting your weight from side to side instead of punching buttons. The Wii controls makes other systems look primitive: by the old standards even television is "interactive". You push buttons, the screen changes. What fun. 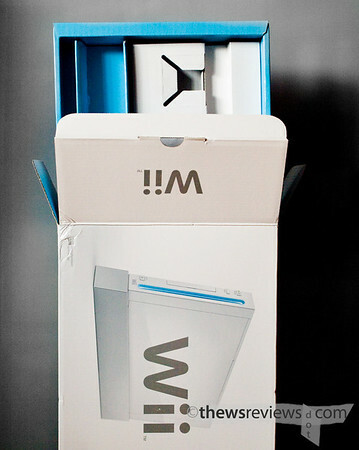 The Wii is still new to Penny and I, so maybe wii're still in the initial infatuation phase. But so far wii've both been enjoying it and using it nightly, where it has replaced watching DVDs and surfing the internet. Wii've also found (sorry, that's the last time) that by being active by playing it's easier to get other things done, so our personal work and interpersonal lives have benefited as well. It's been all positive with no down side except for the small dents it has left in our credit cards, but compared to the cost of a gym membership and a few seasons of Due South, it's an excellent deal.